Last summer, the rise of the Zika virus in South America made residents and tourists alike uneasy. Concern spiked when cases of Zika started to appear in the southern regions of the United States, but since then, the virus has gone global, spreading through Central and South America to Central Africa to West and Southeast Asia. Though the likelihood of contracting the Zika virus in Thailand is rare, in September, two babies born with the microcephaly birth defect had been identified in the fall of last year. 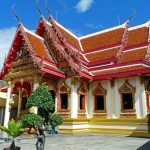 While those traveling to Thailand are likely to be unaffected by the risk, pregnant women, or those women planning to get pregnant, should certainly consider the information below before boarding a Thailand bound plane. * Recent confirmed cases are listed under the ‘confirmed cases' section. Also referred to ZIKV, the Zika virus can be classified in the Flaviviridae family of viruses. Zika is spread through mosquitos, specifically Aedes mosquitos like A. aegypti and A. albopictus. It can also be spread sexually, from partner to partner, if adequate protection is not used. It originated in Uganda- Zika Forest- explaining its name. Zika is also closely related to other tropical fever diseases, namely dengue, Japanese encephalitis, West Nile and yellow fever. While the majority of those who are infected with Zika do not have any symptoms (asymptomatic), some may experience side effects which will manifest between 3 and 12 days after an initial infection. These symptoms will probably include pinkeye, vomiting, headache, mild fever, muscle and joint pain, malaise, sensitivity to light, skin rash (red blotches on neck, arms, chest, face) and abdominal pain, constipation and dizziness. The illness and symptoms generally clear up in a week. For pregnant woman, Zika infections can lead to microcephaly, a birth defect that results in brain abnormalities. While not completely confirmed, scientists’ findings suggest that the Zika virus attacks crucial stem cells while the fetus’s brain is still developing. How Big is the Risk in Thailand? The CDC also states that “all travelers should strictly follow steps to prevent mosquito bites and sexual exposure to Zika virus during and after the trip,” but places less restriction on travel for them as Zika rarely has serious symptoms for those who are not pregnant. How Many Cases Have Been Confirmed? As of November, Thailand’s health ministry had found 33 new cases of Zika. Thailand was also the first country in Southeast Asia that had a confirmed case of microcephaly (September 2016) and the Kingdom currently leads the Southeast Asia region with the most cases of Zika. In 2016 alone, the Thai ministry of health reported about 700 cases of the virus. Again, the total number of cases of Zika in Thailand is an unconfirmed total, but numbers for 2016 suggest that it may have surpassed 700. Thailand is the leading location in Southeast Asia for the Zika virus, so it’s possible that 2017 will yield greater numbers of infected tourists and Thai residents. Update: In July 2017, the Department of Disease Control confirmed 11 new cases in Pichit, a northern province approximately 330 kilometres from Bangkok. This takes the total to 81 confirmed cases since the start of the year. According to research published in the American Journal of Tropical Medicine and Hygiene in late 2015, the threat of contracting Zika in Thailand is not relegated to a specific area. Instead, it has “a widespread distribution,” making most- if not all- areas in Thailand risky for pregnant women. 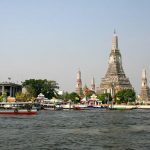 Thailand’s large cities, like Bangkok, have also been affected. Recent reports have shown that around 30 cases of Zika virus have occurred in the sprawling city of Bangkok. Considering the metropolitan area has a population of 5.7m, this still represents a small risk. Anyone who visits Southeast Asia and Thailand is at risk for contracting the Zika Virus through mosquito bites and potentially through sexual contact. However, the only true ‘at-risk’ population is that of pregnant women. Pregnant women should avoid countries where the threat of Zika is known because of the risk of microcephaly. Non-pregnant women who have visited Zika prone areas should wait at least 8 weeks before attempting to conceive. What Does the World Health Organization (WHO) Say? While many health agencies point to the danger of contracting the Zika Virus in Thailand, the public health ministry has downplayed these fears. Though the WHO declared the spread of the virus an ‘international emergency,’ Thailand’s reaction to this scary statement was a calmer approach that suggests WHO is somewhat scaring people. The Ministry of Public Health reportedly responded that; “Thais should not worry. Thailand has no outbreak of this disease,” a statement that is in marked contrast to the nearly 700 cases of Zika that were identified in 2016. Somewhat alarming is the fact that Thailand had not- as of September 2016- updated a Zika prevention and control plan. Further evidence of the ministry of health’s dismissiveness is shown by the unwillingness to identify the provinces where most Zika cases had been reported, a move to preserve the tourism economy of individual provinces and to stave off fear that may slow or even halt the influx of tourists to the country. The Thai government is trying to mitigate risk in heavily populated areas by increasing insecticide spraying around areas that may attract mosquitos. As for the WHO (World Health Organization), little definitive information is listed, although the website does state that there have been no mosquito-borne Zika virus infections in the past week in Thailand and that an initiative to monitor the prevalence of microcephaly was put in place in February of 2016. Overall, the WHO notes that the global risk assessment has not changed, but did try to imply that more pressure needed to be placed on Southeast Asian countries, who the WHO does not believe is doing sufficient work to curtail the problem. There is no treatment or medication for the Zika Virus, as the symptoms are generally non life threatening and can be alleviated by rest and supplementary medicine for aches, pains or fever. A vaccine for Zika does not exist, though doctors and scientists hope that the efforts to formulate one are forthcoming. Realistically, is not expected that a vaccination will be ready for market in the foreseeable future. 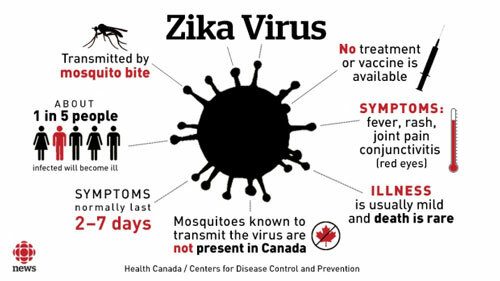 In terms of preventing Zika, doctors suggest pregnant women remove themselves from Zika prone areas and take precautions that include using mosquito netting, using air-conditioning, wearing insect repellent and covering the body in long pants, long sleeved shirts and hats. Quite a few cases the last two weeks in Bang Na. Thanks Marie. Do you have a link to any info on this? How do you know that? I travel to Bangkok in two weeks with my pregnant wife and we are so worried about this. This info was updated last week: https://www.iamat.org/country/thailand/risk/zika-virus One of the interesting things from an epidemiological view is that the drop in new cases is due to "herd immunity" having developed because everybody's been exposed. But, really, is this a risk you want to take? You and your wife might want to talk to a doctor and see if there could be complications from the mosquito prevention chemicals. DEET, permethrin, etc. might entail their own risks. Me and my partner have booked to go Phuket in July 2019 and are planning for babies. Is the Zika Virus still present in Phuket? As James noted there is still a risk and it's country-wide, as opposed to a specific province. Can you hold off trying for a baby until after the holiday? Any update on reported cases in Bangkok? I am 5 weeks pregnant. Only traveling to Bangkok. I haven't read any specific updates on Bangkok, but the travel warnings still remain in place as per my recent comment. Heyyy. Great post, very informative. Do you have any updated information? Is there any recent Zika cases. We're flying to Koh samui and Koh Tao I'm January and I'm worried as I might be pregnant. You can request a test in your home country before starting IVF. Your doctor will be able to arrange one. Tell him/her you visited a high-risk country. What about Central Bangkok? Like skyscrapers and big hotels Bangkok. Not rural outskirts..... Sukhumvit, etc. Are there cases reported there? Does anyone know why southern China doesn't have a Zika warning? I'm concerned because I'm here now and looked at CDC advisory and China and Taiwan don't have a Zika warning. Seems odd since Southern China is so close to Vietnam. We ended up cancelling because we were so hung up on the fact that "if" something happens that we thought we would not enjoy the trip, got a refund from the travel insurance by reference from a doctor regarding the zika risk. Yeah ok cheers. We did a risk assessment with our doctor about where when and how long we are going for and she felt we would be ok to go. She had a list of areas within Thailand that are high or low risk and apparently Phuket is fairly low risk. Even after that we are not convinced we are going to go though. Its hard to ignore the risk even if its low. Good advice on the doctors letter. Do you have that list? I'm dying to go back and my doc is against it. I would like to educate both myself and her either way. My email is (removed due to website privacy terms) if you do have that list!! So many thank yous ahead of time!! I would also love to see this list. Hi I am travelling to Phuket and Bangkok at the end of jan 2018. I am not currently pregnant but trying to conceive is it still safe to go? If no bites can we continue conception as soon as we get back? Can we distinguish a mosquito bite from another insect? Or are there tests for zika if you contract it? NHS advice is to avoid conception while travelling and for up to 6 months on return. You won't necessarily be able to distinguish a bite. There is a test you can do but the NHS don't provide it unless you are pregnant, so get one privately when you get back home if you want to start trying to conceive again. I just spent two weeks in Southern Thailand returning on 1/23/18 (Phuket, Phi Phi, Surat Thani). Around day 6 I fell ill with a mild fever, sweats, lethargy, and no appetite. Sweated it out in bed for two days (symptoms weren't that severe). I felt better for 2-3 days, but then fell ill again, this time with symptoms more associated with common cold/mild influenza (i.e. congestion and stuff) which lasted 9-10 days. My guess is that perhaps I contracted Zika (symptoms seem too mild to be Dengue), recovered and then caught a common cold (just a guess). My girl also got sick (fever, lethargy, no appetite) and developed a rash on her face (typically associated with Zika/Dengue). If my wife were preggers, I wouldn't be taking her anywhere tropical just to be safe. I went to Thailand for a week mid Nov last year. I was 10 weeks pregnant and unaware of the Zika going on at the time. Or else I wouldn’t have went. I stayed in Phuket and once I arrived back to the US I got tested for Zika. Test results came back negative. It’s up to you if you want to go. Just make sure your wife wears safe mosquito repellent. Tom, did you go in February? We have a trip to Phuket (and Vietnam and Angkor Wat planned for May) and I will be 5 months pregnant. Hi, I went to Phuket in December, and got pregnant a few months later. I think if you stay in a nice ressort they won't have any water standing around from where aegis agypti can spread, but as soon as the sun went down, loads of mosquitos did come out (they could just be normal mosquitoes and not zika ones though)... As there is such a small number of ZIKA cases reported in THailand, I would not worry so much, but wear repellent or even stay inside at night. It really depends on whether you think you will enjoy your holidays, even if the risk is tiny. Hi, we are travelling to phuket in 11. january, my girlfriend is pregnant (8 weeks). I have a feeling that pregnant woman are not travelling and recent statistics off cases with pregnant woman is irrelvelant due to lack of pregnant woman travelling.This is quiet disturbing, our government has put low risk but still a risk. Are you still going? I am in the same situation. And can not decide what to do. HI, I AM 5 MONTHS PREGNANT AND HAVE A HOLIDAY BOOKED FOR THE 9TH OF JANUARY. CAN I STILL GO? It's best to discuss this with your doctor/healthcare provider and get professional advice. They will have government issued guidelines for patients. Why do you have to wait 2 months for women and six months for males before trying to conceive? Does the virus live for that period of time with no symptoms? Apparently the risk is still there in the body for that period. I have friends who holidayed in Mexico and conceived there. She had to be tested for Zika when she arrived back and the baby monitored during the pregnancy. The baby was fine. Im planning to make a trip to thailand in nov 2017 end to phuket and krabi. I have my wife going. I wanted to know the latest situation of zika in thailand. Shall i cancel my plans ? I have updated the post with the most recent cases (see under confirmed cases). Is your wife pregnant? The virus only really poses a threat to pregnant women. Considering the population to infection ratio, there has been relatively few cases. But there is a risk. Please read the details of the post and make a decision based on the facts.